All times are GMT. The time now is 15:02. I guess 9kw is enough for our purpose. Any of these bad boys left? Unfortunately not the first batch has sold out. I am currently changing the design slightly to improve the performance significantly. Which will take about a month before I can accept preorders for batch two. What are you changing, if you don't mind me asking? Really good work on the ESC. I have no use for one yet, but it looks like some brilliantly fun electronic design. So I finally got round to redesigning the A200S for a V2 version with a different layout. It is now comically small and performs really well. The power stage layout is based on the 75/300, so it will work good with low inductance motors that were a big problem on the V1.2 and V1.3. Price is a major concern for a lot of people. So I have optimised it a lot to get down to £250, about the same price as a VESC6. It is now up for preorder on my store, to get them back in time for BattleBots S4 the order will be going in on the 18th February and should be back in 3 weeks. I have also added options to select the maximum voltage you need, if you select a lower voltage you get more current capacity as I can put in lower voltage Mosfets which have lower resistance (so less heat). 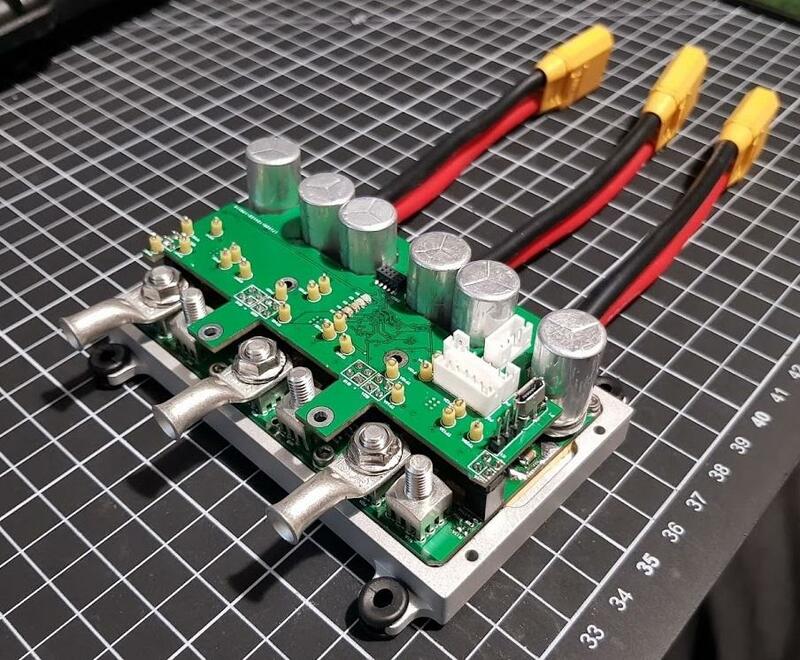 The unit is modular, so you can easily replace the power board with one for a lower voltage/higher current or vice-versa. This might be interesting for people wanting to run DC motors at lower voltages.